Dr. Huma Fatima, specialized in anatomic and clinical pathology, as well as in cytopathology, graduated from Rawalpindi Medical College. 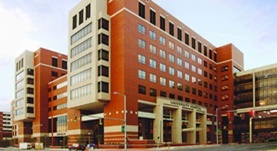 Two fellowship training programs, at William Beaumont Hospital and Vanderbilt University, followed. Over the course of her practice experience of nearly 20 years, Dr. Fatima has contributed to multiple medical publications and is also a member of the Alpha Omega Alpha Honor Medical Society. 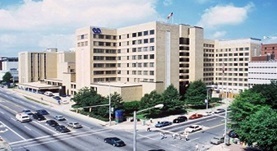 At the time, Dr. Huma Fatima is practicing at Birmingham VA Medical Center and at the University of Alabama Hospital, accepting several types of insurance, including Coventry Health Care, Humana, and Cigna. Dr. Huma Fatima has contributed to 3 publications. Appendiceal tissue confirmation of Fabry's disease. Wallace, E. L.,Fatima, H.,Jackson, L. J.,Warnock, D. G.; Kidney Int.. 2015 Aug 01. Transcription factor avian erythroblastosis virus e26 oncogen homolog-1 is a novel mediator of renal injury in salt-sensitive hypertension. Feng, W.,Chumley, P.,Prieto, M. C.,Miyada, K.,Seth, D. M.,Fatima, H.,Hua, P.,Rezonzew, G.,Sanders, P. W.,Jaimes, E. A.; Hypertension. 2015 Jan 28. Wallace, E.,Lyndon, W.,Chumley, P.,Jaimes, E. A.,Fatima, H.; Am. J. Kidney Dis.. 2013 Jun.